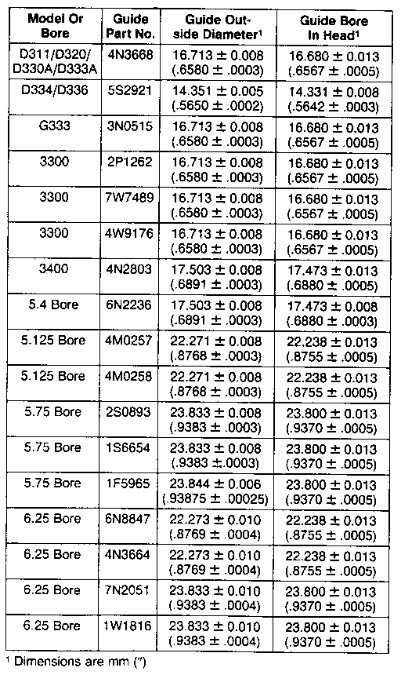 ENGINE NEWS, APRIL 1987, PAGE 8, “Salvage Of Cylinder Heads By Using Oversized Valve Guides And Valve Inserts” in all engines except 3200, 3500, and 3600 Families of Engines. The following chart lists only the size of the standard valve guide outside diameter and the bore size in the head for this standard guide. The bore sizes in the head for the oversized guides can be calculated by using the same press fit as for the standard size guides. As indicated in the chart, the press fit for most engines should be 0.033 ± 0.020 mm (.0013 ± .0008″). 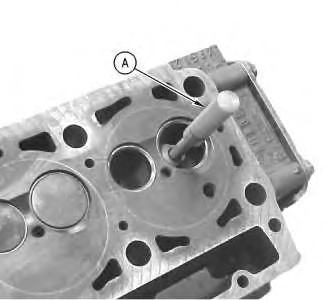 When valve guides are replaced in a cylinder head for the third or fourth time, the guide bore in the head becomes oversized. This causes the normal press fit of the guide in the bore to become inadequate to retain the guide. 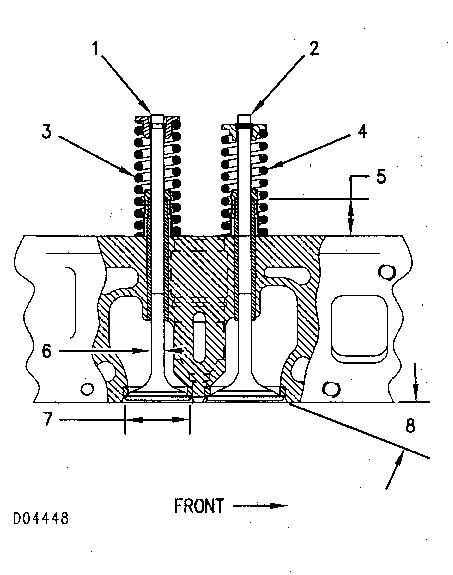 Valve seat inserts become loose after “working” in the cylinder head bore. An oversized insert can be used to salvage the cylinder head casting. See chart. This allows dealers to salvage cylinder heads using Caterpillar parts. 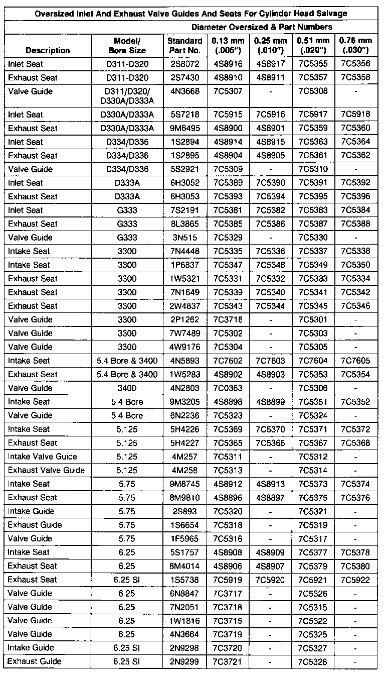 Parts, as shown in the following chart, are available for all Caterpillar diesel and spark ignited engines, except the 3200, 3500 and 3600 families of engines.